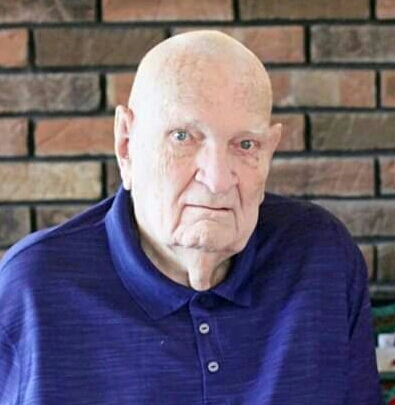 James S. Engberg, age 89 of Kenosha, went to be with his Lord and Savior on Tuesday, October 30, 2018. Born in Racine on June 5, 1929, he was the son of the late William C. and Lydia C. (Johnson) Engberg. James was a graduate of Park High School and attended Ozark Bible Institute. On August 19, 1950 in Kenosha, he was united in marriage to Mable L. Glasman. For 39 years, James was employed at American Motors/Chrysler as a Shop Supervisor. James was an active member of Kenosha Bible Church where he served the Lord in various ways. For 50 years, James was a member of the Kenosha Bible Church Board, S.S. Superintendent, CE Chairman, Long Range and Building Committee Chairman and the Boys Brigade Leader. James liked to travel and was an avid outdoorsman. He loved camping and spending time with his loved ones. He is survived by his wife, Mable; his daughters, Pamela Veldman, Julie (Larry) Kelley and Merri (Joe) Favazza; his daughter-in-law, Kris Engberg; his sister, Norma Engberg; eight grandchildren, Joel (Jodi Heimos)Krogh, Melissa (Robert) Romaine, Allison (Fred) Wagner, Ted (Megan) Kelley, Crystal (Stephen) Richardson, Stephen (Deseree) Drye, Miranda (Shane) Brazeal and Rebecca Engberg; and thirteen great grandchildren. In addition to his parents, he was preceded in death by his son, Thomas Engberg and his son-in-law, Dennis Veldman.